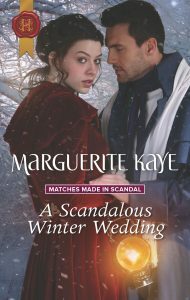 The last book in my Matches Made in Scandal quartet, A Scandalous Winter Wedding, is out now in print and digital, in the UK, US and Canada. 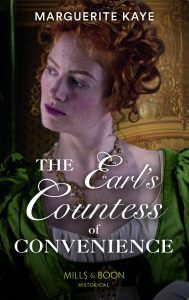 Finally, the mysterious Procurer, the Regency ‘fixer’ who specialises in making the impossible possible gets her own book. The Procurer is the shadowy facilitator who brings together the heroes and heroines in the first three books of the series. She is a powerful and influential woman who is both feared and revered in equal measure throughout Regency London, though almost nothing is known about the private person behind the public figure. If you’ve read the other three books you’ll have gleaned a little bit about her: she specialises in helping women who are down on their luck; she’s especially sympathetic to those who are struggling to make their own way in a man’s world that expects women to be utterly dependent; and she has a little black book of contacts that many would kill for. So what’s the story behind this remarkable, almost mythical character? I was badly burned with a continuity character from another quartet, Hot Arabian Nights who, like The Procurer, became the subject of the last book. Christopher Fordyce was a cross between Indiana Jones and Lawrence of Arabia, an endearingly enigmatic and slightly eccentric English gentleman on some sort of personal quest involving an ancient amulet. That is all I knew about him in the first book, The Widow and the Sheikh. He popped up again waving his amulet in Sheikh’s Mail Order Bride, by which time I’d decided he was going to be the hero of the fourth book, and I was getting worried because I had no idea what on earth he was doing wandering around Arabia. When he encounters the hero of The Harlot and the Sheikh I added a touch of James Bond to his personality and implied that he was a spy. Finally, in Claiming his Desert Princess, I had to come up with his story – and I was absolutely flummoxed. I got there in the end but it was hard work. Determined not to paint myself into a corner like that again, I sketched out The Procurer’s story before I began writing any of the Matches Made in Scandal books. 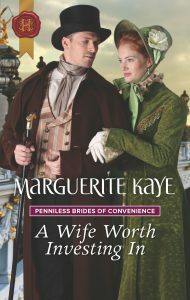 I even wrote a prequel, in which The Procurer makes her debut, From Cinderella to Marchioness, which you can read for free on the Harlequin website (the link is here). All well and good, but when you have a heroine as strong-willed and fiercely independent as The Procurer, it’s a huge challenge to find a hero capable of matching her. And so for me the round of sleepless nights and many, many ‘thinking’ walks began again. I hope that I succeeded with self-made Scotsman Cameron Dunbar, who shares a troubled past. Will it be it a match made in heaven? The book is out now, if want find out. ‘To buy’ links and an excerpt are on the book page here. I will be running a giveaway to celebrate this new release over on my Facebook page on Monday 3rd December, so please do pop over to enter. Good luck. 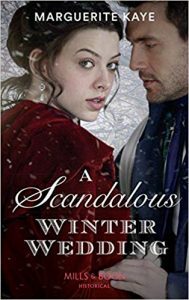 This entry was posted in Book News and tagged A Scandalous Winter Wedding, Hot Arabian Nights, Matches Made in Scandal. Bookmark the permalink.